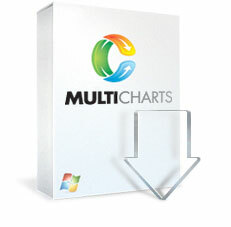 MultiCharts is a complete trading software platform for professionals. It offers considerable benefits to traders, and provides significant advantages over competing platforms. It comes with high-definition charting, support for 20+ data feeds and 10+ brokers, dynamic portfolio-level strategy backtesting, EasyLanguage support, interactive performance reporting, genetic optimization, market scanner, data replay, and 300+ strategies and indicators. MultiCharts has received many positive reviews and awards over the years, praising its flexibility, powerful features, and great support. Try the 30 day free trial now! To make the right choice it is equally important to see the small details and the big picture. Our charting is one of the best in the industry, giving you instant access to all of the information that you need. 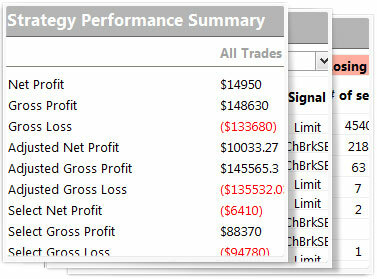 Multi time frame analysis, fast response time, complete interactivity with everything you see—all at your fingertips. We feel that you should have the freedom of choice, and that’s why we have added support for over 20 different data feeds and 10 brokers to MultiCharts. Competition is good, that’s why you can pick the providers that suit you best, and change them at any time. No strings attached. Portfolio Trader is a very powerful tool to test and auto trade entire portfolios, which can contain 100's of stocks, futures, and other instruments. Such functionality is often sold as a separate application, but it's in your arsenal with MultiCharts. 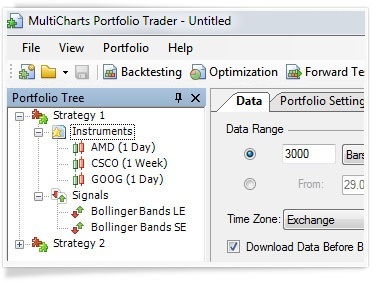 While other platforms provide only historical simulations of portfolio trading, MC Portfolio Trader lets you Forward Test and Automate Trading with any strategies you developed with a single click. 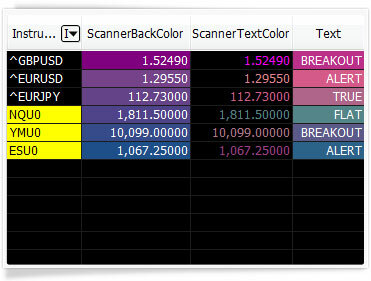 Portfolio Trader also features Optimization (including Walk-Forward Optimization) and Dynamic Currency Conversion. EasyLanguage has been in development for over 20 years, so it has one of the largest libraries of trading ideas already implemented. 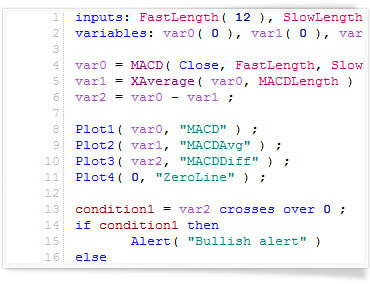 It is so useful to traders, it is considered the industry-standard programming language. In addition to hundreds of studies that come with MultiCharts, you can create your own, change existing ones or import any EL code that you can find. It is very important to accurately see how you are doing. The performance report has more than 200 performance measures, including various metrics, ratios, and interactive performance charts. 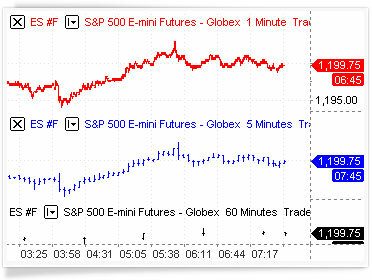 The report can also monitor real-time trading, since it recalculates on every new order that has been placed. Some traders find optimization very useful, because it saves a lot of time searching for optimal inputs for a particular strategy. 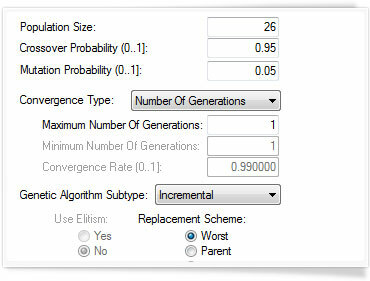 Genetic optimization employs a complex algorithm that tests possible inputs in a way that mimics biological evolution. This approach is a lot faster than trying every possible combination, and it also helps avoid outliers and curve-fitting. 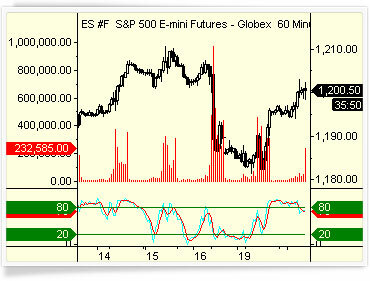 When you are looking for opportunities, the Market Scanner can be an invaluable tool. You can instantly sort up to 5000 instruments to find ones that meet a certain criteria, apply indicators to alert yourself when a condition occurs, and open charts of the necessary symbols for a more detailed look. Trading the markets is all about predicting where the price will go next. A good way to practice is to apply your price-predicting skills to historical data. 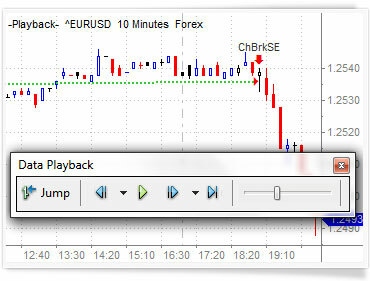 Market Data Replay allows you start playback at any point in the past, speed up or slow down replay speed, and even playback several instruments at once. We have collected the most popular indicators and strategies we could find, and included them in the platform for free, so you don’t have to look for them. 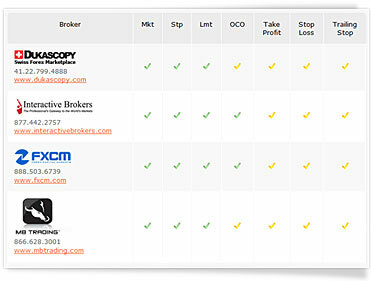 All you need to do is right-click on the chart, and they are at your fingertips. Remember, you can always add more, or write your own in addition to existing ones. MultiCharts is a professional trading platform, which is widely used by CTAs, financial advisors and individual traders around the world. With positive reviews in popular trading magazines, authorized resellers around the globe, and a following of satisfied customers, MultiCharts is quickly becoming an industry standard tool in the world of trading.